Plasterers Bradford – Perfectly plastered walls are the starting point for a great looking home. Heaton Bros plasterers are dedicated professionals and routinely perform high quality skimming achieving a ‘mirror finish’. 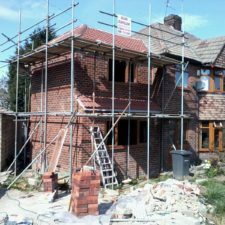 Heaton Bros Builders & Plasterers Bradford, West Yorkshire with over 25 Years experience within the building trade. Finally we also cover Leeds, Wakefield, Huddersfield, Halifax, Ilkley, Harrogate and all surrounding areas in Yorkshire.